Symbolism ~ The Holy Spirit is the power of God "in motion" in man. The most frequent representations of the Spirit are the descending dove and flames. There are biblical accounts of the Holy Spirit appearing as a dove at the baptism of Jesus, and as tongues of fire when the Apostles were filled with the Holy Spirit. 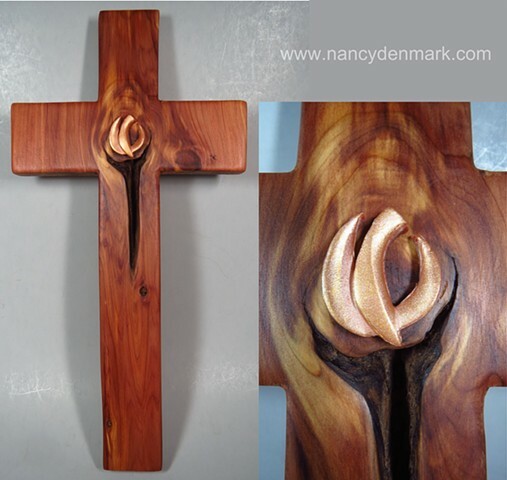 The symbolism of flames continues in the beautiful wood grain of this cross.